Our accommodation in Caledon is comfortable, restful, and relaxing. The hotel’s rooms and suites are suited to your every need, and are fully equipped with a host of amenities designed to maximise your sense of wellbeing. 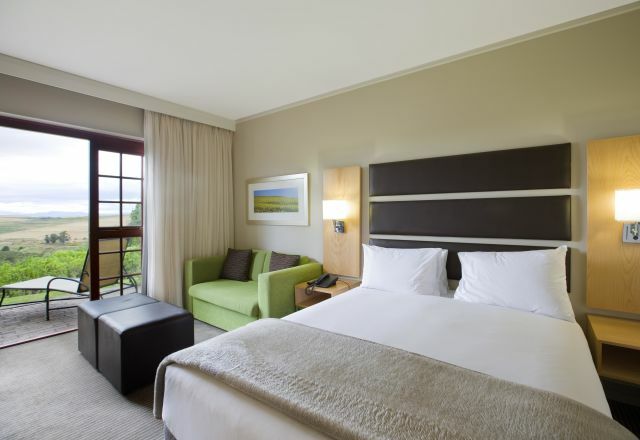 A choice of rooms are available: Standard, Superior, and Suite, with luxuriant décor that echoes the rustic serenity of the hotel’s location in the Overberg region and its connection with nature. Suites offer a separate lounge area with fireplace for those cold wintry nights, while Standard rooms on the ground floor have French doors leading onto an outdoor private patio with loungers and umbrella. For luxury, restful accommodation that is both romantic and family-friendly, we look forward to welcoming you to The Caledon Hotel and Spa. 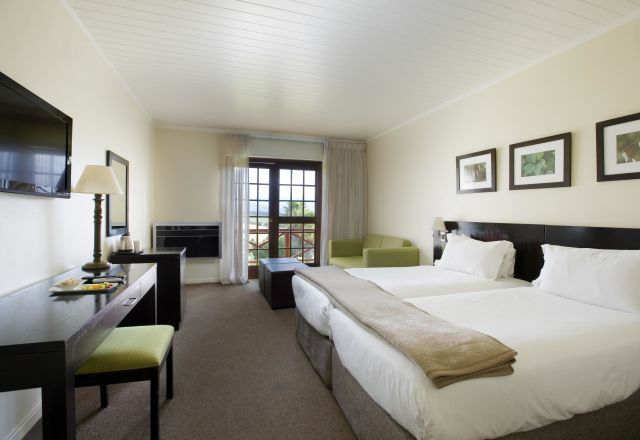 Suites have a king sized bed, lounge area with fireplace, dining area and kitchenette, as well as en-suite bathroom.